Chikudo Lew Richmond is an ordained disciple of Zen Master Shunryu Suzuki, and a lineage holder in that tradition. Beginning in 1967, for fifteen years he lived and trained at Tassajara Zen Monastery, San Francisco Zen Center, and Green Gulch Zen Temple, where he was its Head of Practice from 1977-1983. He is the author of four books: WORK AS A SPIRITUAL PRACTICE, A Practical Buddhist Approach to Inner Growth and Satisfaction on the Job; HEALING LAZARUS, A Buddhist’s Journey from Near Death to New Life ; A WHOLE LIFE’S WORK, Living Passionately, Growing Spiritually , published in February, 2004, and AGING AS A SPIRITUAL PRACTICE, published February 2012. 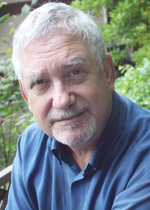 His personal website, with information about his books, music, and other activities, is www.lewisrichmond.com. He is the Dharma teacher of Vimala Sangha Tiburon. Ed Sattizahn’s meeting in 1970 with Suzuki Roshi inspired a life long practice of Zen. He trained at Tassajara Zen Monastery from 1973 to 1977, and San Francisco Zen Center from 1977 to 1982 during which time he was President for three years. From 1983 to 2000 Ed was an executive in the microcomputer software field. In 2002 was one of the co-founders of The Vimala Sangha with Lew Richmond. In 2003 he returned to formal Zen training as Shuso (head monk) at Green Gulch Zen Temple. 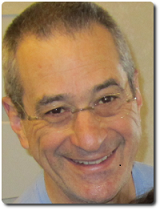 Ed is an ordained priest and received dharma transmission from Lew Richmond in 2012. He is the Dharma Teacher of the Vimala Sangha Mill Valley. 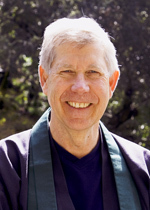 Peter Schireson is a co-founder of Zen Center of Fresno. He has trained in Soto and Rinzai Zen and is especially interested in how Zen practice can be transplanted to the U.S. in a way that informs and enriches everyday life. He was ordained as a Lay Teacher by Sojun Mel Weitsman of Berkeley Zen Center in 2003 and as a Soto Zen priest by Chikudo Lew Richmond in 2008 with whom he completed Dharma transmission.